Therapy Center of Buda Is a Family Oriented Clinic. We Provide Speech-Langauge and Occupational Therapy. Andrea Kuiper is a speech-language pathologist in Austin, TX. Practice Type: • Outpatient Rehabilitation Center Practice Areas: • Speech Language Pathology • Speech Therapy Take the next step and contact Andrea Kuiper for a consultation in Austin, TX or to get more information. Elizabeth Adams is a speech-language pathologist in Del Valle, TX. Practice Type: • School Practice Areas: • Speech Language Pathology Take the next step and contact Elizabeth Adams for a consultation in Del Valle, TX or to get more information. Rebecca Wilkinson-Smith is a speech-language pathologist in Kyle, TX. Practice Type: • School Practice Areas: • Speech Language Pathology • Speech Therapy Take the next step and contact Rebecca Wilkinson-Smith for a consultation in Kyle, TX or to get more information. Andrea Kume is a speech-language pathologist in Kyle, TX. Practice Type: • Home Health Agency - Client's Home Practice Areas: • Speech Language Pathology • Speech Therapy Take the next step and contact Andrea Kume for a consultation in Kyle, TX or to get more information. Lauren McKee is a speech-language pathologist in Austin, TX. Practice Type: • Speech Hearing Center/Clinic Practice Areas: • Speech Language Pathology • Fluency and fluency disorders Take the next step and contact Lauren McKee for a consultation in Austin, TX or to get more information. Jennifer Dumas is a speech-language pathologist in Austin, TX. 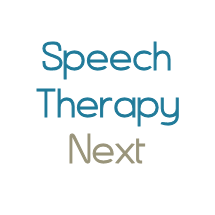 Practice Type: • Speech-Language Treatment Center/Clinic Practice Areas: • Speech Language Pathology • Augmentative Alternative Communication Take the next step and contact Jennifer Dumas for a consultation in Austin, TX or to get more information. Amy Ecklund is a speech-language pathologist in Austin, TX. Practice Type: • Speech-Language Treatment Center/Clinic Practice Areas: • Speech Language Pathology • Autism • Speech Therapy • Swallowing disorders Take the next step and contact Amy Ecklund for a consultation in Austin, TX or to get more information. Mercedes White is a speech-language pathologist in Austin, TX. Practice Type: • Clinician and Consumer Advocate Practice Areas: • Speech Language Pathology • Speech Therapy Take the next step and contact Mercedes White for a consultation in Austin, TX or to get more information. Jane Rupp is a speech-language pathologist in Austin, TX. Practice Type: • Speech-Language Treatment Center/Clinic Practice Areas: • Speech Language Pathology • Accent Modification • Communication Improvement and Public Speaking Take the next step and contact Jane Rupp for a consultation in Austin, TX or to get more information. Erin Kux is a speech-language pathologist in Austin, TX. Practice Type: • Home Health Agency - Client's Home Practice Areas: • Speech Language Pathology • Speech Therapy Take the next step and contact Erin Kux for a consultation in Austin, TX or to get more information.